Following the door to door at Residence Kennedy during which we had the opportunity to meet people and explain to them the benefits of spaying or neutering their pets, we organized our dogs and cats sterilization camp on Saturday last at Residence Kennedy Polyvalent Hall. 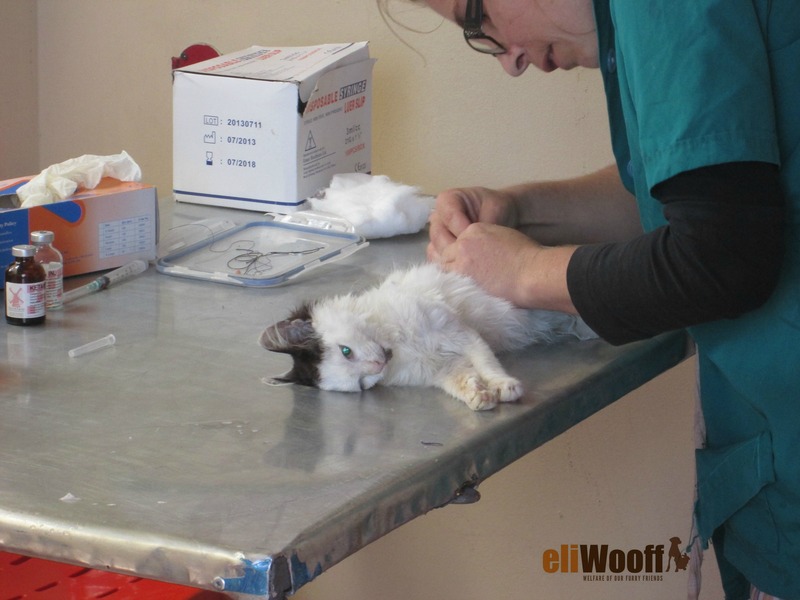 10 pets were sterilized on the day. At ELI Africa, we believe that the only effective solution to the predicament of stray dogs in Mauritius is responsible ownership and sterilization. Stray animals in Mauritius are seen wandering around looking for food in garbage and unfortunately, some of them have to live with this fate till they die. Moreover, these animals are captured by other bodies and undergo through traumatic experiences at the dog pounds as shown in several undercover investigations in the past. While during our door to door we met people who understood the effectiveness of sterilizing a pet, we also met some who at first were not willing to have their pets sterilized. They would cite religious doctrines or would talk about the pain their pets will go through during the whole process. However, we took time to explain to them the benefits of sterilization, both for their pets and for their community at large and encouraged them to be part of the solution. It was also an opportunity for us to talk to pet owners on responsible pet ownership and discuss ways on how they could take better care of their pets. From having dinner together with their pets or sleeping next to them, the people we met showed unconditional love towards their pets. Sterilization is the only permanent, 100 percent effective method of birth control for dogs and cats. Every day, unwanted puppies are dumped and disregarded by irresponsible owners. Spaying and neutering will prevent this situation from rising, stop more pets from being homeless and help to control the population of dogs and cats. Furthermore, spaying and neutering will not only ensure that the pet lives a healthy life but also lives longer! A report published in USA Today stated that neutered male dogs live 18% longer than un-neutered male dogs and spayed female dogs live 23% longer than unspayed female dogs. This longevity may be due because spay and neuter surgeries reduce the risk of cancers. Besides, a sterilized pet will feel less need to roam about and thus the risk that it meets with an accident or is attacked by another pet is reduced. That sterilization day was one of the series of campaigns we intend to organize in targeted regions in Mauritius. We would like to thank Dr. Sandra for believing in our mission and most importantly, the inhabitants for supporting our cause and working together for a better world for our furry friends. Previous StoryELI Corps: Connecting With Our Childhood Next StoryOpen Letter to Hon. Mahen Seeruttun: Wake Up!